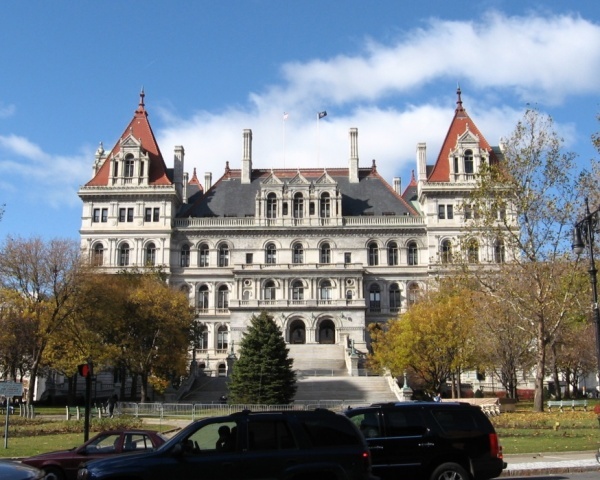 Legislation was passed in the New York State budget Sunday that will protect immigrants from facing deportation after being convicted of misdemeanors. The One Day to Protect New Yorkers Act, sponsored by Jackson Heights State Senator Jessica Ramos and Assembly Member Marcos Crespo, shortens the maximum sentencing for class A misdemeanors from 365 days to 364 days, a maximum already adopted by seven other states. The previous one year maximum sentence for a misdemeanor, for a legal resident (green card holder) or an undocumented immigrant, could mean automatic detainment, deportation, and rejection from relief programs, even if the defendant did not spend one day in jail. The potential sentence is what triggers the consequences. Several advocacy groups such as the Immigrant Defense Project (IDP) and The Fortune Society have been working to pass this legislation for three years, arguing that change would help protect immigrants in Queens. The bill comes at a pertinent time, according to a report released by the IDP, since New York City was found to be the site of 75 percent of courthouse ICE arrests in the United States, with Queens and Brooklyn leading among the boroughs. Queens, according to the report, saw 33 arrests in 2018 by ICE of non-citizens at the Queens courthouse. This bill is meant to decrease this number as well as restore a judge’s discretion as to whether the circumstance warrants a deportation or not. “In the face of cruel and escalated threats to immigrants, we applaud the leadership of New York for taking a firm stand against the devastation caused by ICE’s cruel and inhumane detention and deportation system by passing One Day for New Yorkers,” said Mizue Aizeki, Acting Executive Director of the Immigrant Defense Project in a release. “One Day moves us forward in the fight against criminalization, and towards more freedom and power for New York’s vital communities,” Aizeki said. The new bill passed in the Executive Budget late Sunday and the new legislation is effective immediately. If someone is an undocumented immigrant doesn’t that mean they are here illegally and have already broken the law? There are many immigrants who did the right thing to come here and eventually bring their families over even if it took years. They are my friends and neighbors who worked hard and eventually became U.S. citizens. It is not fair to them that people come here illegally knowing that they will be protected, even when breaking the law again without having to go through the process others who came before them had to endure. If you are a “guest” in this country act like one. Do you have any evidence she was literally protecting MS-13 or is this just another unhinged rant from a racist Trump voter? Does she still want to legalize prostitution ? They shouldn’t come here and get off with no jail time when they commit a crime – no matter how serious it is! If you can’t do the time, don’t do the crime. Deport ANYBODY that has committed a crime against ANYBODY in this country! They get free legal advice AND an interpreter. Enough! But it’s the people’s fault for electing these idiots who are not here to serve the AMERICAN people. This woman keeps making it easier and easier for illegal aliens to take advantage of Queens. She hasn’t done a single thing for law abiding citizens. Electing Ramos has been the worst thing that has happened to the district. She is protecting criminal aliens like MS 13 members, she was against Amazon, she was against Business Improvement Districts, she supported baby-killing legislation. Ramos is a disgrace! We need to make her a one term state senator. …and more of the ad hominems. I’m asking for any evidence she was literally protecting MS-13, you might want to google what argumentum ad hominem means before you embarass yourself again. That which is presented without evidence can be dismissed without evidence. Among the ad hominems you are found of throwing around is “Trumptards”. This is your standard response in defending illegal alien criminals. It is obvious that you’re feebly attempting to bridge Trump supporters to “retards”. This knee jerk response is not only low-rent, but it is also not very “woke”. As a defender of Ms Ramos you should be more aware of you language. Using, referring to or implying the word “retard” is as unacceptable as the N or F word. tsk, tsk. As for your “argumentum ad hominem”…. Ms Ramos is an outspoken critic of U.S. Immigration and Customs Enforcement. The prime mission of ICE is to protect America from cross-border crime. This would include the eradication, incarceration and deportment of any and all MS13 members. So yes, she is (unwittingly?) protecting MS13. You may have a different opinion, but this is a factual and legitimate position. ICE is younger than Shrek, and it’s functions were handled by the INS before. People that want to abolish ICE want to return to the INS-like structure, without all the people dying in custody, as they have with ICE. The “have ICE or leave America undefended” is a blatant false dichotomy, are you really gullible enough to believe that?